Polemics and reflections on how to bridge the gap between what architecture actually is and what architects want it to be. 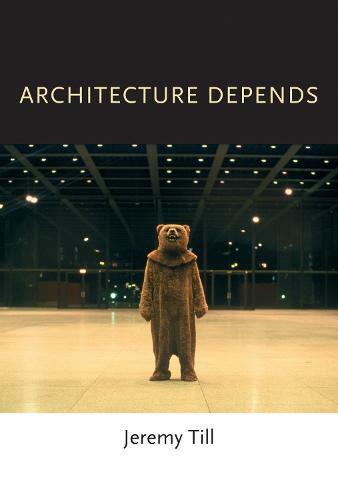 Architecture depends-on what? On people, time, politics, ethics, mess: the real world. Architecture, Jeremy Till argues with conviction in this engaging, sometimes pugnacious book, cannot help itself; it is dependent for its very existence on things outside itself. Despite the claims of autonomy, purity, and control that architects like to make about their practice, architecture is buffeted by uncertainty and contingency. Circumstances invariably intervene to upset the architect's best-laid plans-at every stage in the process, from design through construction to occupancy. Architects, however, tend to deny this, fearing contingency and preferring to pursue perfection. With Architecture Depends, architect and critic Jeremy Till offers a proposal for rescuing architects from themselves: a way to bridge the gap between what architecture actually is and what architects want it to be. Mixing anecdote, design, social theory, and personal experience, Till's writing is always accessible, moving freely between high and low registers, much like his suggestions for architecture itself.